Artist David Gillespie has a new song for you to cut a rug to, and Gas Mask has the exclusive release! Combined with a musicality of folk, rockabilly and blues, "When The Lights Go Out" is packed with a powerful punch of energy. Listen to the track below. David recalls, "This was originally a throwaway, something fun and trivial to play live...As we played it though, things started to happen. People jumped around, they made out, they sang it back to me...Sometimes the people playing the songs are the last to know." One thing's for sure: the track has a vibe that you can not deny! 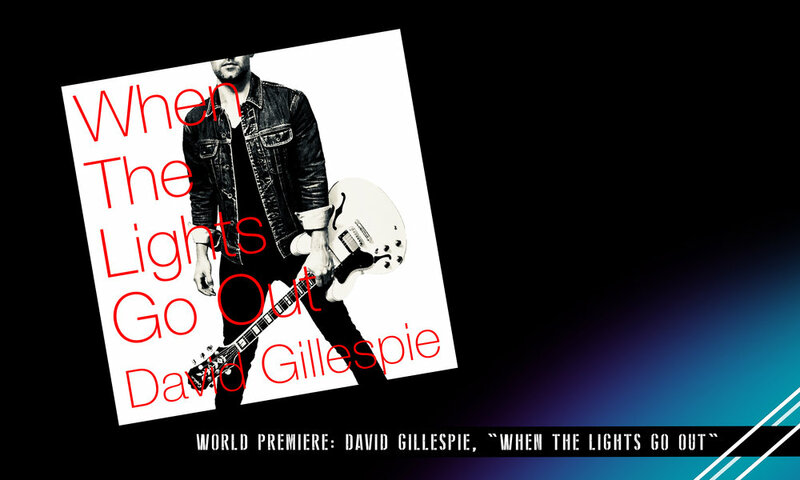 Order your copy of "When The Lights Go Out" on iTunes today. And be sure to give David a follow across social media; he's one artist we know you'll want to keep an eye out for! Social Media: Instagram, Facebook and Twitter.